NunoErin offers an elegant solid surface table that enriches any atmosphere with rich and elusive sensory experiences. When softly touched, this experiential table emits a variety of responsive light behaviors that shimmer beneath your fingers, offering pleasing and restorative experiences.The Sparkle Table offers a unique and intuitive form of play that is widely appealing and accessible. Adults, children, families, and seniors alike enjoy the surprising discoveries, gesture drawing and conversation that accompany the Sparkle Table. The origination of the MooreCo Inc. began in 1985 with the creation of Balt by Lorraine Moore. The emerging printer market was in demand of high quality, multi-functional printer stands and under the leadership and direction of Mrs. Moore, Balt soon became the nation’s leader in design and production of printer stands for major printer manufacturers. With the growth of the company, Balt became known as a respected source for innovative and dependable products which supported the computer, office furniture and educational industry. The company’s primary focus was superior customer service, high quality products, on hand inventory, and prompt drop shipment. 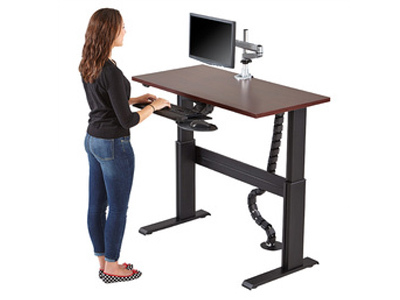 RightAngle Ergonomic Products is a leading manufacturer of ergonomic office furniture and has been manufacturing ergonomic computer accessories for over 25 years. RightAngle’s first official product was one of the first, and now very primitive ergonomic keyboard trays available in the 1980’s throughout the United States. A more modern, sleek, and sturdy Myriad™ Ergonomic Keyboard Tray has replaced our original steel keyboard tray. The innovative Myriad™ Keyboard Tray is one of our many leading ergonomic accessories sold and is among the most durable ergonomic office products available. FLOR is a system of carpet squares that you assemble to create custom rugs, runners, or wall to wall designs of any shape or size. Four tonal variations on one color, Modern Mix combines the pop of design with gradations on FLOR’s most popular solid colors. The soft, plush feel and the soothing hues make it suitable for any room needing a little calming influence. Up to 37% post-industrial recycled content, Modern Mix comes in sets of four tiles individual tiles cannot be sold separately. Sitmatic has a wide variety of seating options for you to choose from including popular models of the Sitmatic Tuxedo Auditorium chair, a versatile auditorium chair for viewing and learning environments. 2/90 has manufactured and installed comprehensive architectural communication solutions for many prestigious corporate, healthcare, education, hospitality and government clients. 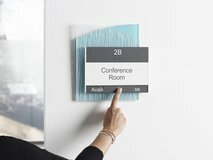 Our 2/90 interior architectural facility signage systems and advanced fabrication capabilities allow us to create high-quality signage to complement any environment. An extensive offering of colors, finishes and countless options with insert configurations, graphic elements and product enhancements, provides a sustainable, modular interior sign solution for our clients while strengthening their brand. Clarus is committed to sustainable products and manufacturing processes, including recycling raw inputs and by-products, waste minimization and pollution prevention. 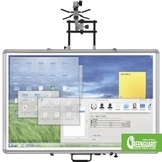 Glass dry-erase systems provide the superior alternative to toxic materials found in synthetic whiteboards. Stain-free surfaces ensure your Glassboards will last the life of the wall.The Glassboard Float is a new addition to the upscale, visually striking style that has come to define Clarus Glassboards. Clean lines and concealed mounting hardware make the Glassboard Float a great option for private offices, conference rooms and collaborative spaces. 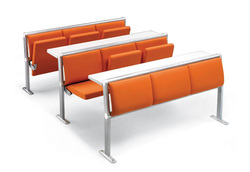 All Seating offers a comprehensive line of seating. Since we spend the majority of our day, every day, sitting in a chair, our sole focus is to design solutions that make being in the seated position more ergonomic and more productive. Since 1982, we’ve developed a reputation for quickly adjusting to the changing needs of customers in the office, educational and healthcare sectors. Our highly supportive Foster® Patient chair at an easy-access hieght to minimize risk of injury. 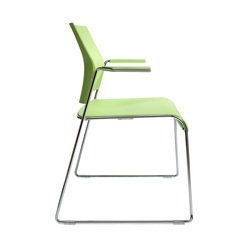 Features a steel frame construction, webbed seat suspension and sloped arms to enhance support. Datum Storage Solutions has been a leader in providing storage solutions for commercial, industrial and government use since 1968. More than 40,000 companies covering every industry have relied on Datum to design, manufacture, and install high quality storage solutions, including mobile storage systems, filing systems, workstations, computer security equipment and more. 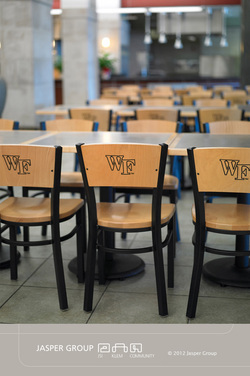 Community’s seating line offers custom logos and designs as a perfect way to reinforce your own branding. 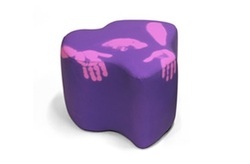 No matter what your seating needs are, Community can provide you with both comfortable and attractive seating with the additional bonus of brand reinforcement.